Tessa Puma had an infection that resulted in the amputation of one of her legs. 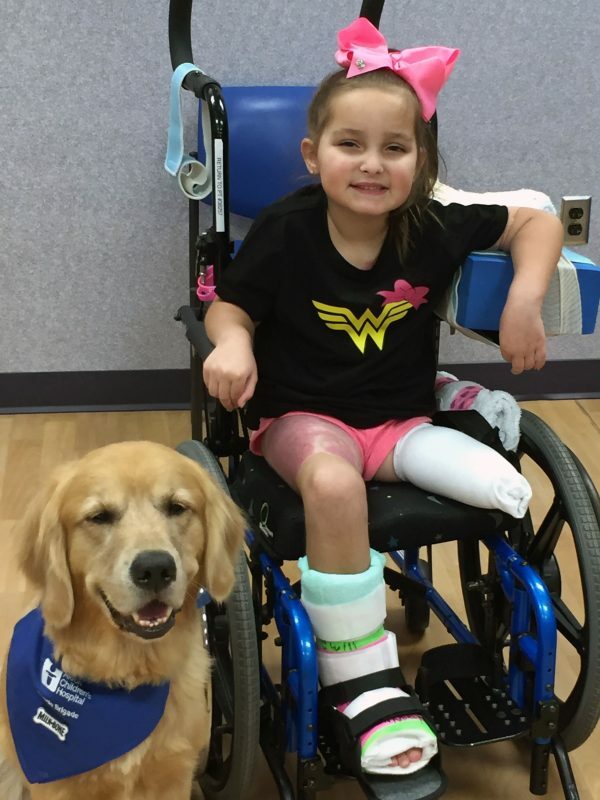 She found support in animals and friends every step of the way during recovery. Sometimes people are put in your lives for a reason; we learned that this year with all that we have been through with our daughter, Tessa. So many people have touched our lives and have helped us during the most difficult time in our lives. Some old friendships were made stronger, while others tended to fizzle out after things calmed down a little bit. We have realized there is truly a reason for everyone we have met and also those old friends we have gotten closer to this year. There is one girl that has always held a place in our hearts since the day Tessa got sick. She always seems to show up at random times that were completely unplanned. This girl we are forever grateful for as she was one of Tessa’s nurses in the hospital and took care of her when she was very, very sick on the first few days of her hospital stay. 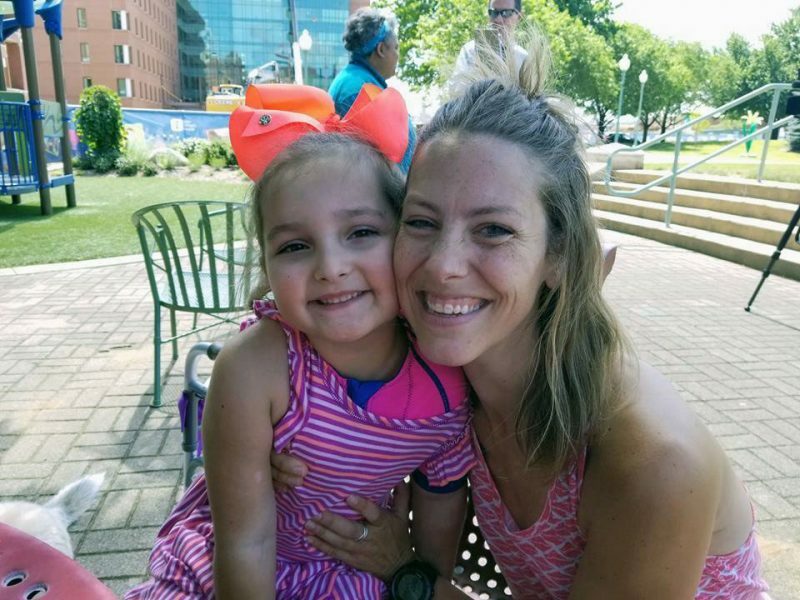 Akron Children’s pediatric intensive care unit (PICU) nurse Lauren Pearch has been a consistent source of cheer in Tessa’s recovery. When we met her, we had no idea the impact she would make on our lives. She came to the 5K benefit that was held for Tessa. She has sat and talked to us when we were at our worst—when we were at the hospital nonstop in the beginning and barely sleeping. When she was working nights and had Tessa for the night we knew it was ok to get some sleep because Tess was in her amazing care. She has always been so sincere and caring when she would cross paths or come to visit Tessa. We will always be grateful for her helping Tessa, as well as Matt and I through a very hard time in our lives. We were given Polar Express Tickets (aboard Cuyahoga Valley Scenic Railroad) from A Special Wish Foundation. 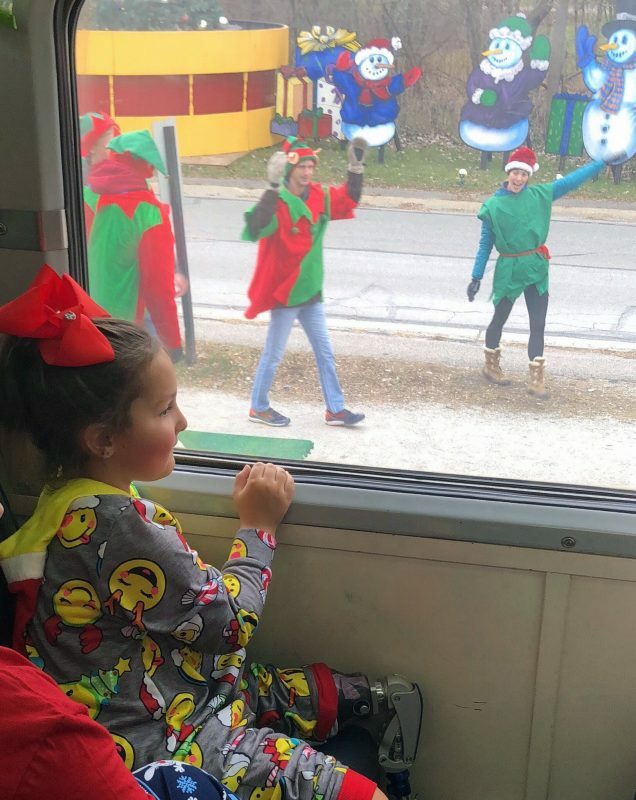 Once we reached “The North Pole,” the train stopped to wave to all the elves and wait for Santa to arrive, as we looked out the window there she was, waving back at us! 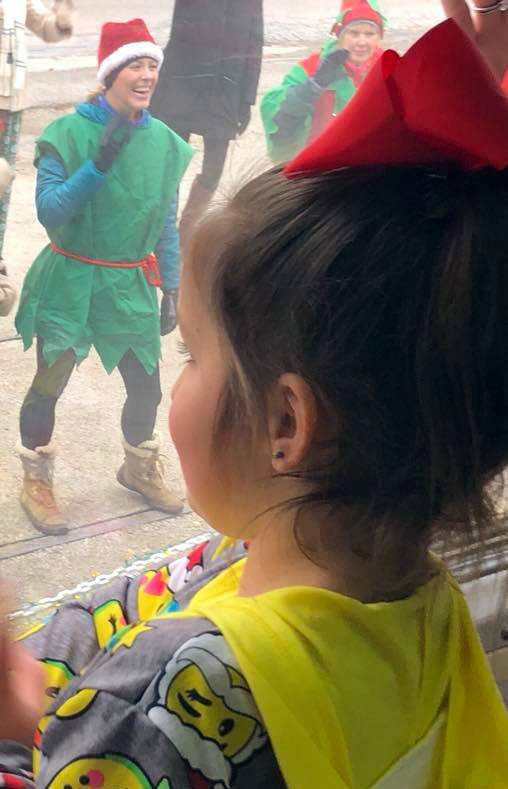 Tessa loved the train ride, especially seeing nurse Lauren (at right) at The North Pole. Lauren, we will always have a place for you in our lives and our hearts! You are truly our angel and thank you for being such an amazing person. You truly have no idea how much you have made our lives just a little bit brighter.